Anna Fine Foer is one of our 2018 grantees. Below is an upcoming exhibition , which opens. January 11, 2019 at the Clinical Center at The National Institutes of Health in Bethesda, Maryland. 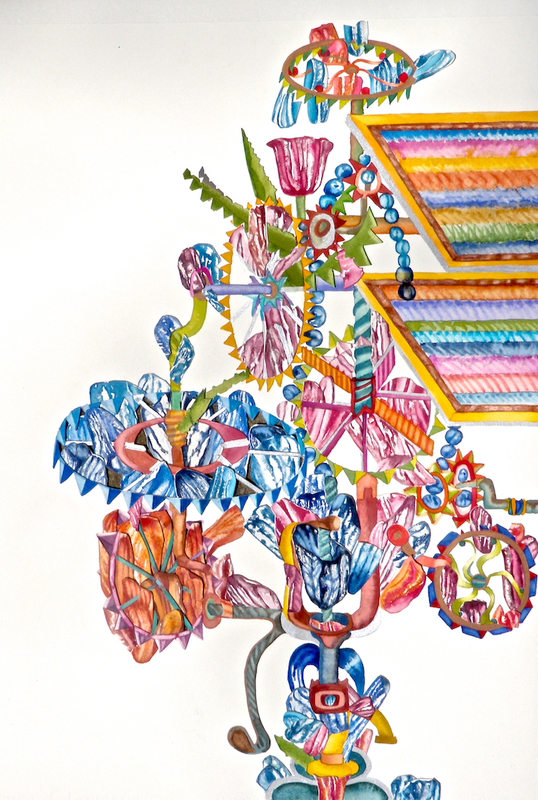 A series of 12 collages by renowned artist Anna Fine Foer will be displayed in an upcoming exhibition at the National Institutes of Health titled, “Tulipmania. ”The exhibition will be on display from January 11, 2019 —March 1, 2019 at the Clinical Center at The National Institutes of Health in Bethesda in Maryland. A Code for Tulips – The images used are the result of the first time the tulip genome was sequenced using Oxford Nanopore technology, thanks to a geneticist from Leiden, NL. 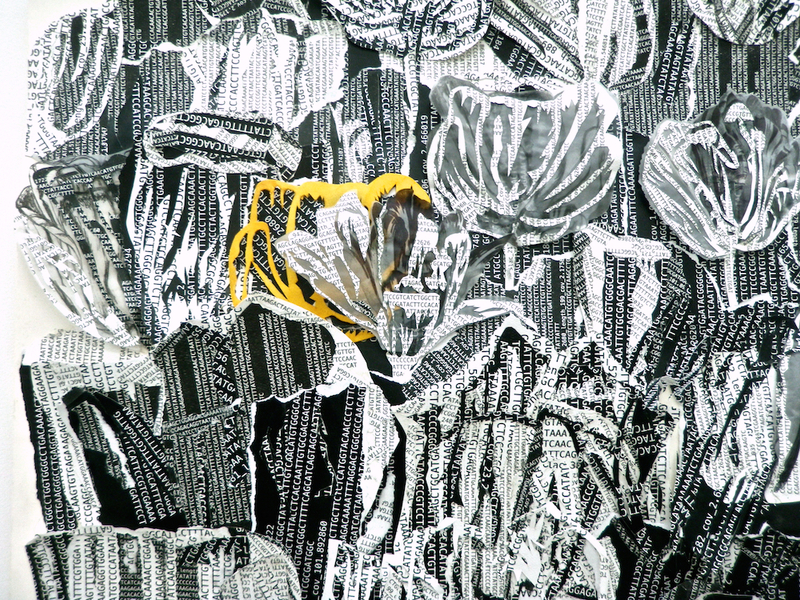 The collaged DNA sequences express the variegated petals that were the most desired during Tulipmania. Three centuries later, scientists understood this variation in a tulip’s petals was the result of a virus that caused mutations to the tulip genome. The prints are black text on white background and vice versa to illustrate the binary aspect of a gene; it is either on or off. Mosaic Virus – During Tulipmania (Netherlands 1630-37) the most desired tulip petals were striated due to a virus. Eventually, it was a series of bulb manipulation experiments begun in 1928 by Dorothy Cayley at the John Innes Horticultural Institution in Merton, South London, England that led to the discovery of the virus. The virus is known as the tulip break virus, lily streak virus, or tulip mosaic virus. The name of the virus is a central motif in this collage, with a traditional mosaic floor pattern in the shape of a double helix. The helix patterns are collaged with prints of the mosaic virus DNA sequence. The floor also is the fertile ground for a tulip garden, complete with tulips cut out of a visualization of the mosaic virus. 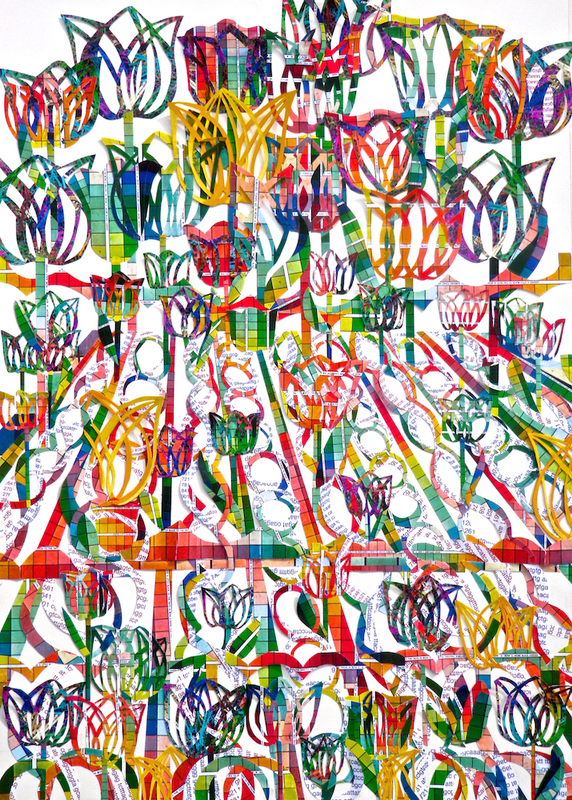 The mosaic pattern is made with pigment colour charts referencing an attempt to standardize that which defies regulation, as was the case during Tulipmania. Tulipa ex Machina – The composition expresses engineered, human intervention into the propogation of tulip bulbs to create the desired effects; those of striated, variegated petals that were the most desirable during Tulipmania. 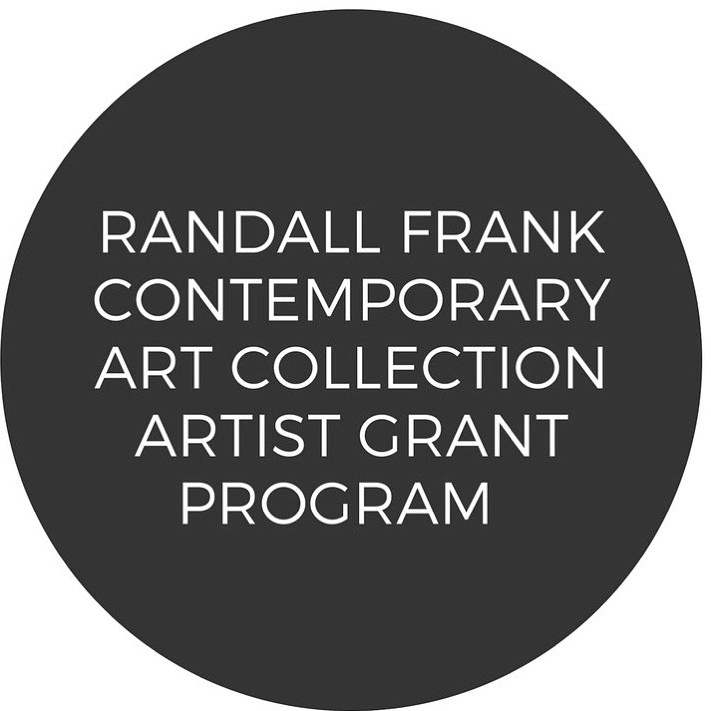 The Randall Frank Contemporary Art Collection started in 2015 by acquiring contemporary works from East Coast and Midwest artists and contributing to community art events via sponsorship. Most recently, it started the Randall Frank Contemporary Art Collection Artist Grant Program to continue to support artists from these regions. We see a lot of value in supporting artists financially so that they can fulfill their career goals. We are happy to provide this resource. We are hoping to continue to provide more funding opportunities later this year. – Randall Baren and Frank Juarez. The Randall Frank Contemporary Art Collection (RFCAC) is excited to officially launch its artist grant program with this year’s inaugural recipients. The Randall Frank Contemporary Art Collection is happy to announce Dontrell Corey Fells and Anna Fine Foer as its first artist grant recipients. We look forward to seeing their vision become reality. Corey Fells is a photographer located in Milwaukee, Wisconsin, most recognized for his projects in which he focused progression of millennial women and detailing their separate stories of conquest. His first-coming solo show, Pookie, opens at the Museum of Wisconsin Art. 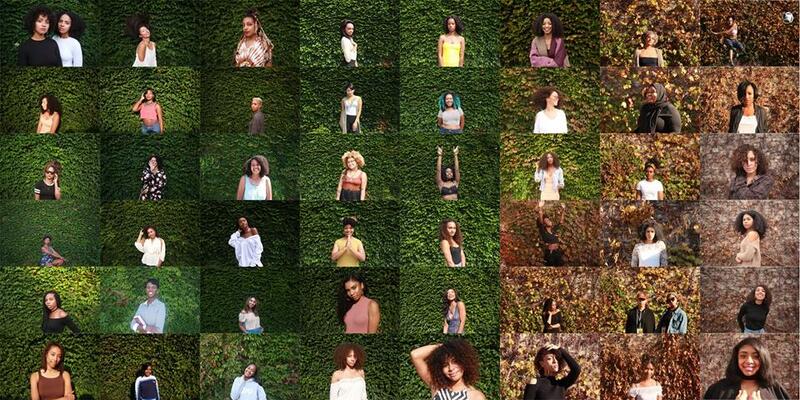 “Pookie: Photography” exhibition will feature an accumulation of five connecting photo series: 100 Womxn, Violet, Beauty, 36 Timez, and Wives. Each respective series is meant to portray a cyclical narrative that touches on the generation of black millennial women reliving past generational trials and tribulations and conquering them, which then are woven through seasonal changes, recreation of famous art pieces, and using the inspiration from Zora Neale Hurston’s “Their Eyes were Watching God” and Alice Childress’ “Wine in the Wildress” to express the contemporary styling of the photographs, all being tied together through the story of Corey’s relationship with his late mother, Pookie. The multiculturalism present within this exhibition shines light on the beauty of the millennial age – a world that his mother embodied sometime ago. Check his work out at www.dcoreyf.org. Fine Foer decided she was going to be an artist when she was 11, when she lived in Paris for a summer visiting every museum and gallery. While a fibers/crafts major at Philadelphia College of Art (now University of the Arts) she became fascinated by the relationship between maps and the land they represent, embarking on a lifelong interest in maps and collage. After emigrating to Israel, Anna worked as a textile conservator in Haifa and Tel-Aviv. She studied at the Textile Conservation Centre, Courtauld Institute in London, where she received a Post-Graduate Diploma in Textile Conservation. Back in the U.S., Anna worked in conservation for the Textile Museum in Washington, D.C. and for many museum clients as a freelance textile conservator. 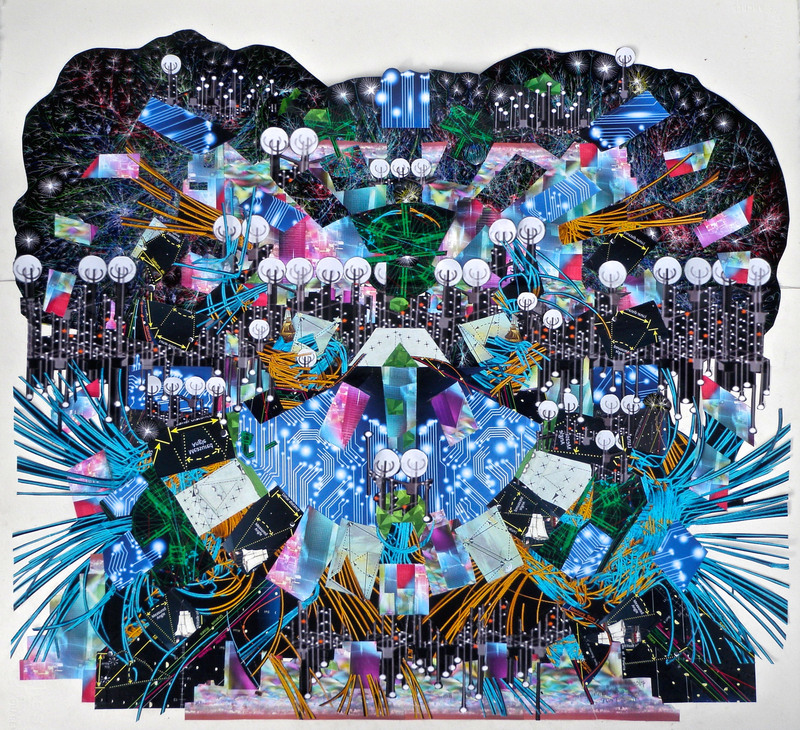 At the same time, she continued to construct map collage landscapes with sacred, political and meta-physical significance, depicting three or more dimensions on a two-dimensional plane. Anna now lives in Annapolis and has two young adult sons. 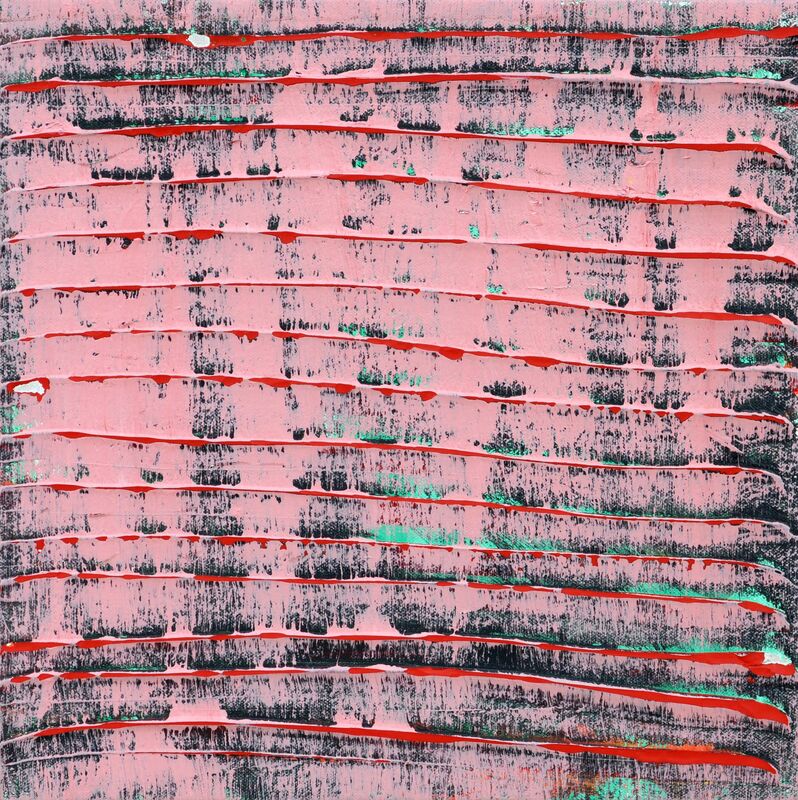 Her work has been exhibited at the Indianapolis Museum of Art, the Maryland Governor’s Mansion, and the Israeli Embassy and is in the permanent collection of the Haifa Museum of Art and the Beer-Sheva Biblical Museum. 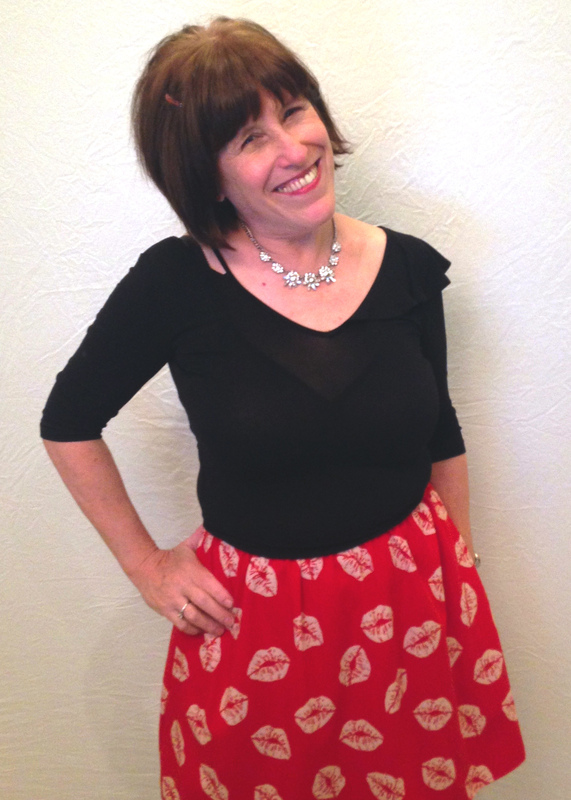 She was awarded a prize for the Encouragement of Young Artists for work exhibited in the Artist’s House in Jerusalem and received a Maryland State Arts Council grant for Individual Artists in 2008 and in 2016. Check out her work at www.annafineart.com. Randall & Frank participated in a series of critiques with the RedLine Milwaukee artists in residence on October 7th. It was a pleasure to meet such a diverse group of artists working in different media from paper to sound, and drawing to installation. 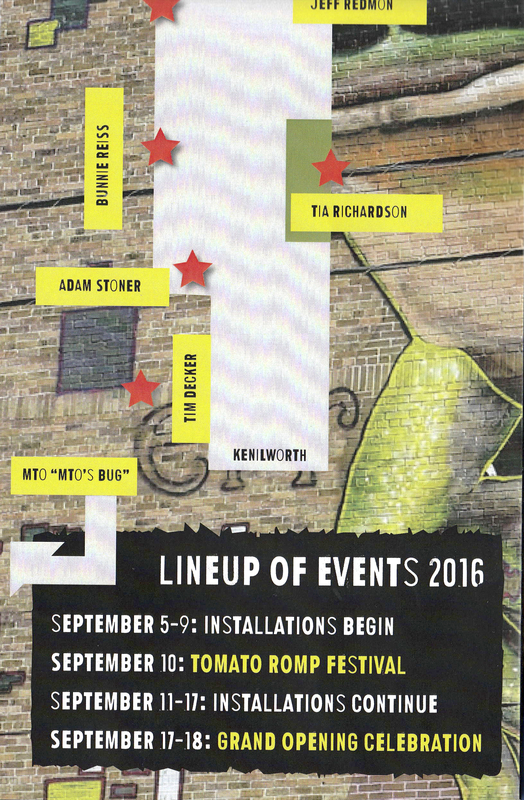 Thank you for including us, Jeff Redmon. 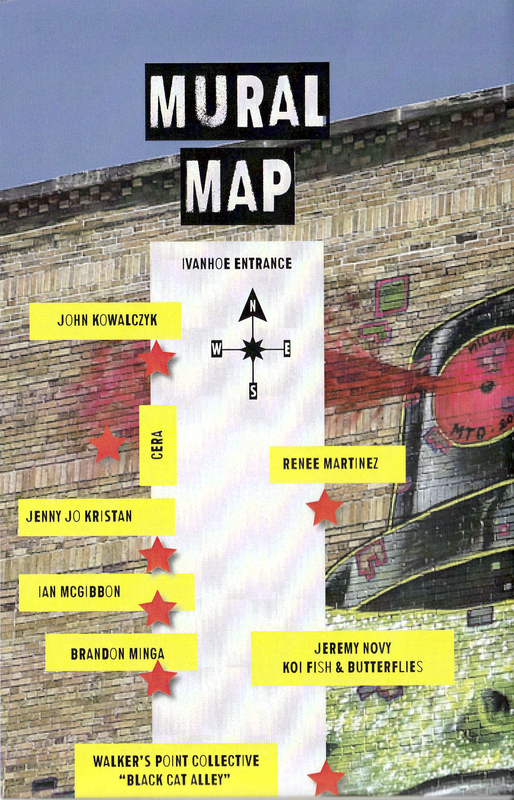 RedLine Milwaukee was founded by local artists Lori Bauman and Steve Vande Zande in October, 2009. Goals of professional development, access, and social justice are met through RedLine’s Programs: Residency, Exhibition and Education. The three-story, 22,000-square-foot building includes exhibition space, artist studios, a community printshop, dye lab and paper-making lab. 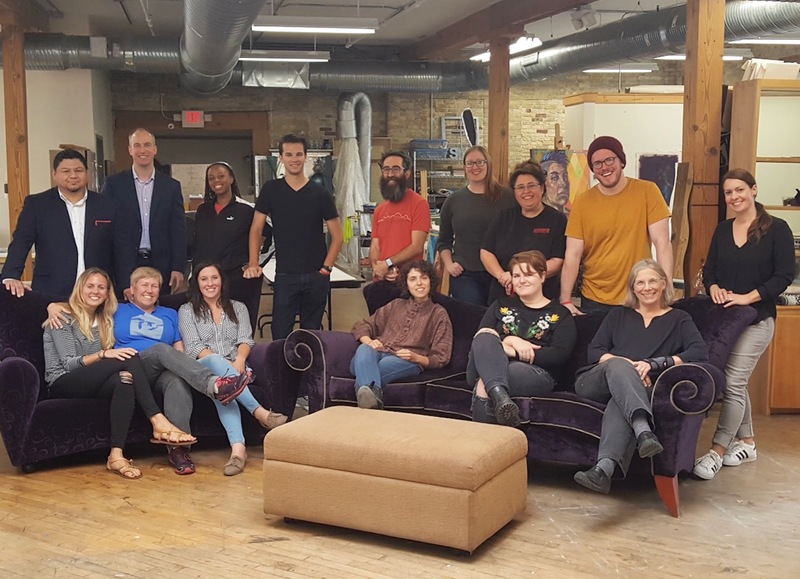 Milwaukee’s premier AiR program, RedLine houses twelve AiRs, eight community residents, six teen residents, the MKE Fashion Incubator, Studio Haus and several visiting artists annually. 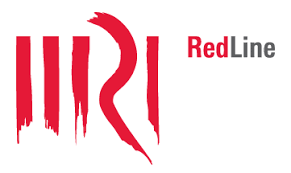 Additionally, RedLine connects artists with community organizations through workshops, classes, and outreach. Randall E. Baren and Frank Juarez founded their very own contemporary art collection called the Randall Frank Contemporary Art Collection, which supports artists living and working in the East Coast and Midwest. This collection started in 2015 and continues to explore ways in which they can support one of our most creative assets -artists. Having successful careers has led them to give back to an area that they are passionate about. 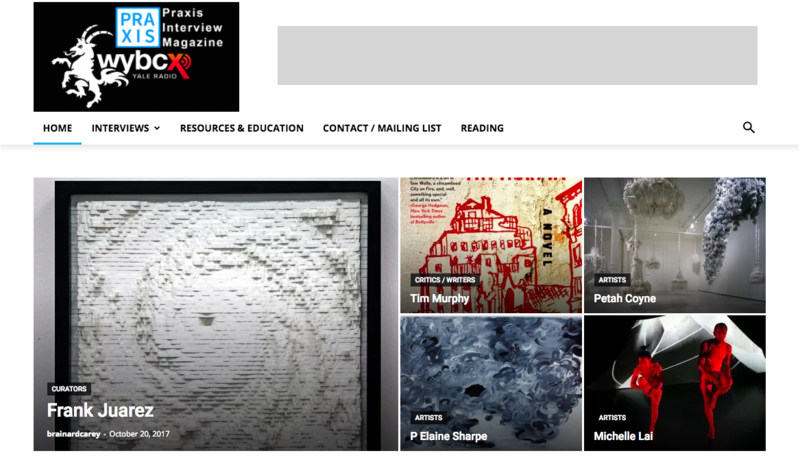 In addition to art acquisitions and sponsorship they have created an artist grant program aimed to support artists financially for residencies, exhibitions, and artist-led lectures. Randall and Frank are pleased to announce its newest artist grant program – the Randall Frank Contemporary Art Collection Artist Grant Program. To get your hands on the artist grant paperwork click here. Submissions are due December 1, 2017. To contact us simply submit the form below. 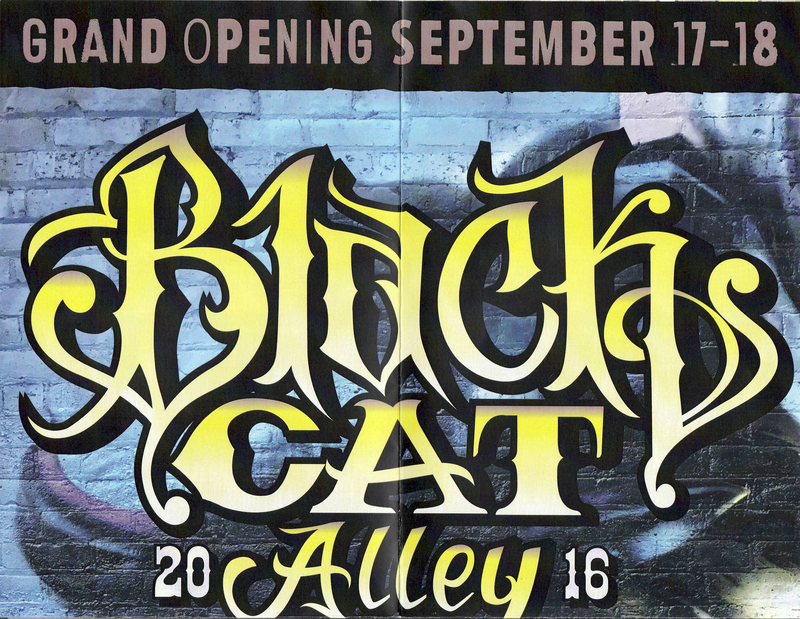 Randall Frank met Cera back in September of 2016 during his visit to Milwaukee for the Black Cat Alley Mural Project. Since then they stayed in touch. Recently they had the opportunity to spend a couple of day with him in Philly. Below is an interview with Cera from 2016. Randall Frank: I heard that you graduated from the Milwaukee Institute of Art & Design. What was your experience like studying at MIAD? In what ways has it prepared you for life after graduation? Cera: MIAD was a great experience, and I was extremely lucky to have been accepted. I didn’t think I was going to be able to get into a private art school after my performance in high school, but I took a year at MATC to get my GPA in working order, which helped me get a scholarship that would help open that door to MIAD. I started with a focus on Communication Design, but quickly realized that I was far more interested in the fine art aspect of the schools program. So, when I switched majors to Printmaking, things kind of took off. Rina Yoon (head of the printmaking department) was extremely supportive of my interest in graffiti and street art in correlation to illustration and graphic design. She pushed me hard for about 3 years, helped provide me with the opportunity to travel to Seoul for a major collaborative mural project with South Korean pop artist, Dongi Lee. MIAD prepped me for life after graduation with the idea that, if I consistently challenge myself and I take my art practice seriously, opportunities will eventually present themselves. One thing that I think is really crucial to understand, is that no matter what program you might attend, you’ll only get out of it what you ask for. RF: Where are you currently residing? RF:: What does Street Art mean to you? C: Street art has a plethora of definitions, typically varying in definition from artist to artist. My own interpretation of street art has also changed over the years. Initially, it represented a more freeing way of producing artwork, or a less restrictive platform for exhibiting artwork. I never wanted to confine myself to a canvas, or a print on paper, because I believe that the most accessible artwork is artwork made on the streets and for the streets. It’s the difference between a painting hanging in a gallery, to be exhibited to a select group of trained artists and critics, and a painting made on site, about the site, and for the site. I believe that this inherently widens the viewing demographic, or provides a more inclusive way of creating artwork. 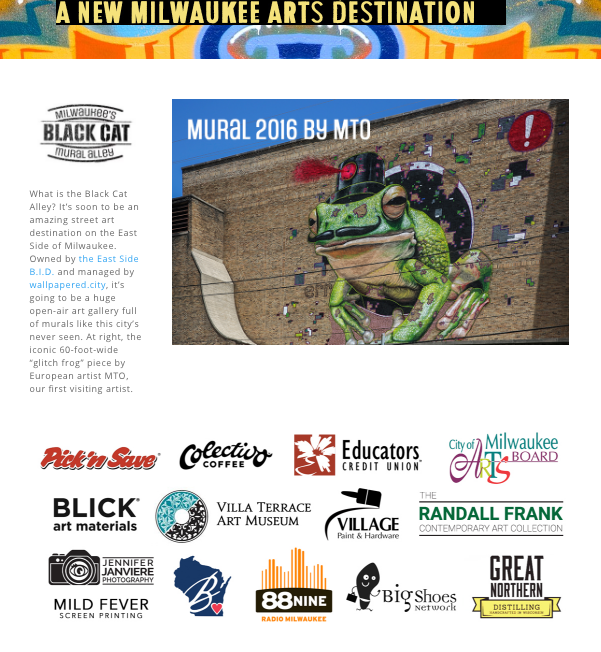 RF: We met you in 2016 at the Black Cat Ally Mural Project in Milwaukee as one of the featured artists. 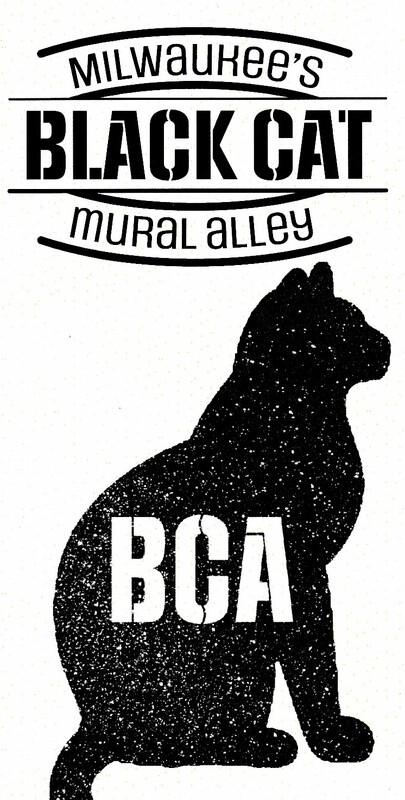 How did you hear about the Black Cat Mural Alley Project? 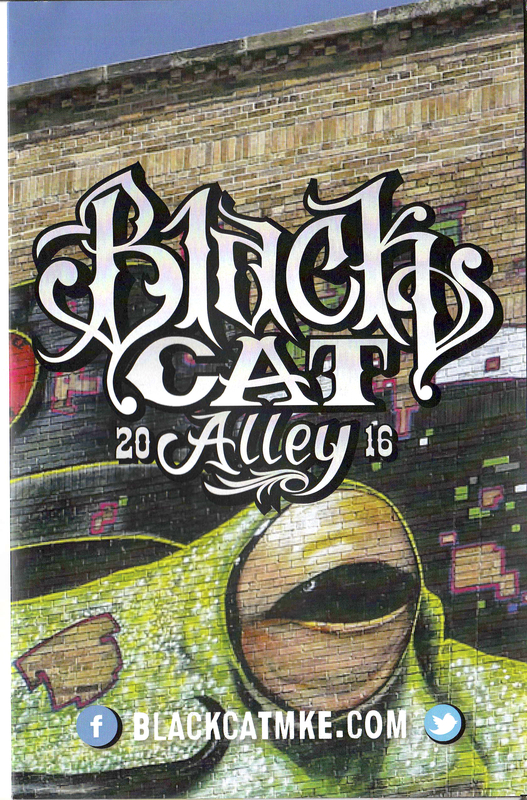 C: I heard about Black Cat through John Kowalczyk (on social media from Milwaukee friends), and I was interested immediately. RF: What attracted you to submit a proposal for this project? C: Honestly, I miss the Midwest. My girlfriend and I left Milwaukee for the East Coast about three years ago, and we’ve had the opportunities to work on some great projects across the country, but the more time I spend away from the Midwest, the more I find myself missing the communities there. 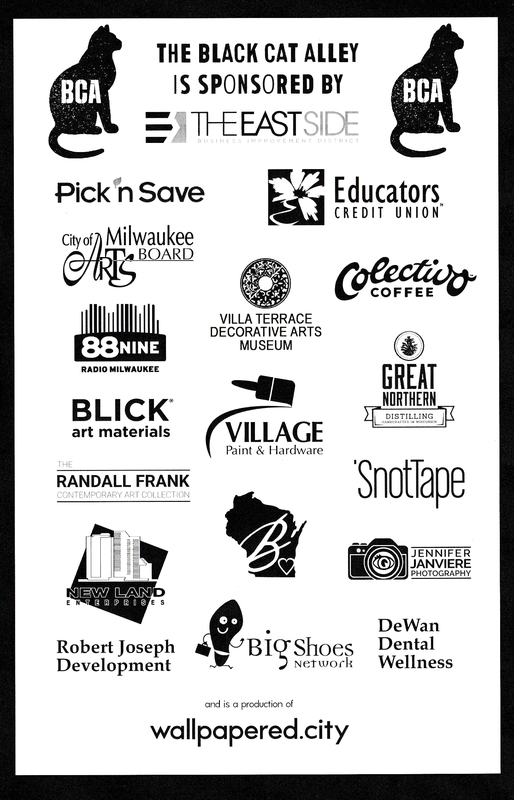 Sometimes I think that because Milwaukee is a smaller city, it’s built on camaraderie, or communal success. I spent a lot of time making artwork on the streets of Milwaukee, and I feel like since I’ve been gone, I’ve had the opportunity to grow as an artist and maker. I’d like to revisit this site with a whole new library of personal experiences, and create some artwork that reflects this growth. RF: What was your proposal? What is it about? C: I actually only sent in reference images of prior works, with the plan of cultivating a batch of drawings to work from. But I’ve been spending a lot of time thinking about what I’d like to bring to Milwaukee, and I think I’d really like to create something that not only reflects my growth since leaving, but illustrates a sense of appreciation for the place I miss so much. I like the idea of pairing a few portraits, and maybe creating a composite image from multiple faces, multiple skin colors, male, female, maybe something androgynous. 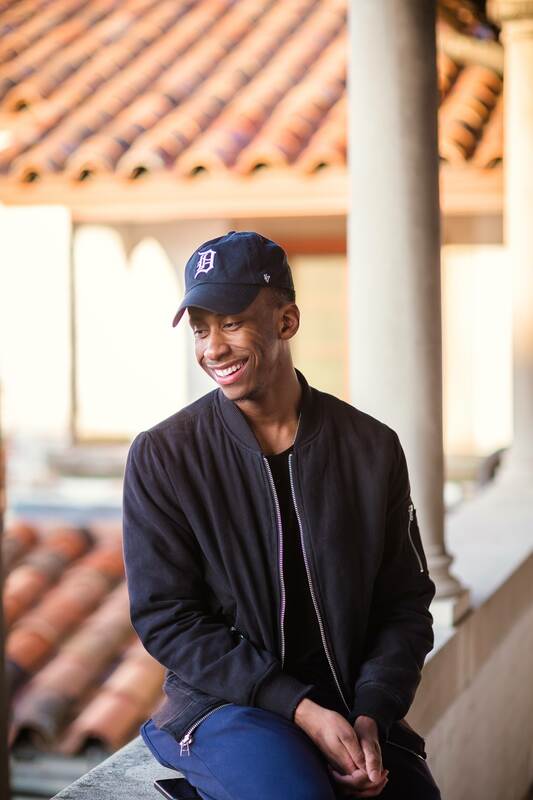 Maybe I can help represent the incredibly special aspects of the community, represent Milwaukee’s incredible work ethic, challenges the city has faced in the past, or challenges the city is facing right now. I have my work cut out for me. RF: What motivates you to create? C: I make artwork because it helps me understand the world around me. The world isn’t easy, and sometimes things are so complicated that I feel like I can’t breathe. Each piece I make gives me an outlet to address the more difficult questions I might have. RF: Where do your ideas come from? C: Ethical injustice. Racial inequality, domestic abuse, political corruption, greed and manipulation, police brutality. I believe that humans can be better to each other, and I think my work reflects my notion of a strong underdog, someone that was designed to lose, but chose instead to succeed. I think it’s the representation of a strong female lead, a she wolf, or a powerhouse of a human being that, despite being told “NO”, has continued to work for their well being and the well being of their family and friends. Anyone that has the strength to wake up and fight for their life every day is beautiful to me. RF: Please describe your creative process. C: My creative process varies so much from piece to piece. I think the best way to explain this, is to separate my practice into two categories, one in which I work for a client, and the other in which I work for myself. I’ve found that it’s crucial to be able to adapt to each client’s individual needs and interests, so I might end up doing extensive research and image sourcing to meet those needs. I like to work this way because I can kind of take a back seat, so to speak, and listen and learn about someone else’s story. For example, I’m currently creating a mural for an extremely motivated Vietnamese business owner, and it took us weeks to settle on an image, and it’s become a story we get to tell together. We share experiences and viewpoints in the construction of the image, and it helps us create a piece that neither of us would do on our very own. RF: You are now one of several artists selected for this project. Congratulations! What does it feel like to be back in Milwaukee? 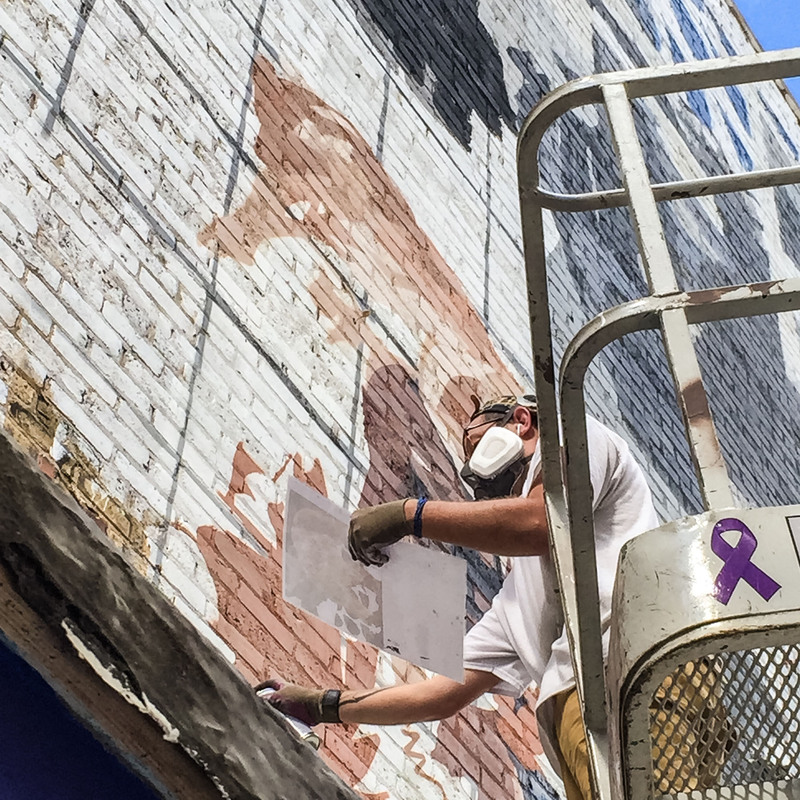 C: I used to live a block away from the mural site while I was going to MIAD, so it will really feel amazing to spend some time making artwork in my old neighborhood. I miss the morning coffee and quiche from Collectivo. It was like a ritual. RF: Do you prefer to be called an artist or muralist? Is there a difference? C: I probably would lean towards artist, but part of me feels like it doesn’t matter. I love painting murals, but there are always other ways of producing, and I know that I’ll always want to challenge myself to new things. “Artist” kind of covers it all, whereas “Muralist” can be a pigeonhole term, honestly even “Street Art” limits your opportunities, your outcome or process. RF: What three art making tools are most important to you and why? C: Computer/tablet for sourcing and altering images. Acrylic spray paints for their consistency in color. Acrylic paints for the colors that spray companies haven’t made yet. RF: What artists/muralists do you look up to? C: There are so many, I’ve got a list of 30 to 40 visual artists and musicians that I follow pretty seriously. In the past five or six years, mural artists and street artists have been making some serious waves across the world. Some of my favorite artists are the ones that refuse to take a break. Gaia has been hugely influential for me. He’s unapologetically addressing major ethical issues like gentrification, displacement, divestment. I have a lot of respect for that kind of work, because it brings light to issues that we might not always want to acknowledge. I’m also a huge fan of Tristan Eaton’s portraiture. His fragmentation of typeface, pattern and shapes are so active and playful. Chance The Rapper, from Chicago, spits gospel influenced hip-hop and spoken word that addressed major ethical, cultural and social issues that plague American cities. 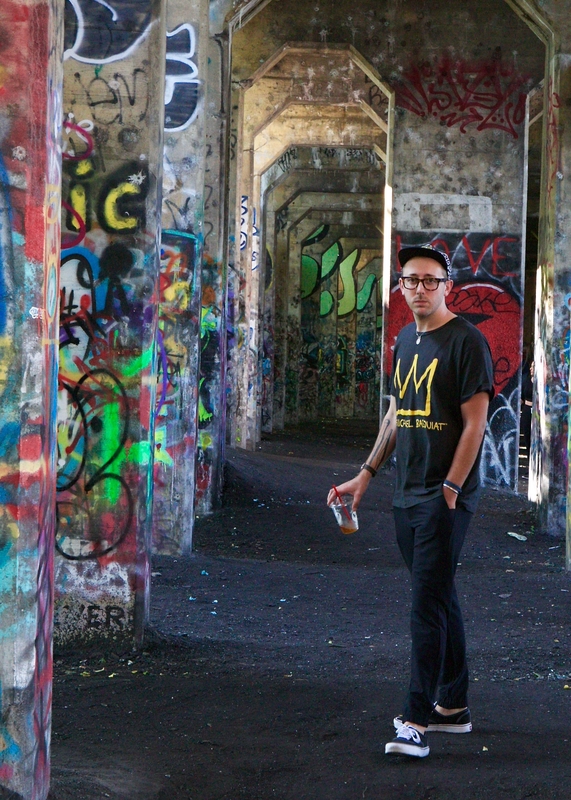 RF:: What advice would you give to aspiring artists/muralists and future MIAD graduates? C: If you have dreams of success, or if you feel like there is a market niche for your practice, do not give up. You might catch flack from peers along the way, but you’re doing exactly what you love. Be honest with the artwork you make, or don’t make your work simply because it’s on trend, because you’ll only be answering to yourself at the end of a long day in the studio. Take advantage of opportunities that present themselves, no matter how daunting or scary they might be. If you’re worried you can’t do something, you’d be surprised what you can push yourself to accomplish. RF: Where can people connect with you online? The mission of the Randall Frank Contemporary Art Collection is to foster relationships that support local, regional, and national artists through acquiring art, sponsorship, and providing financial support through our artist grant program. 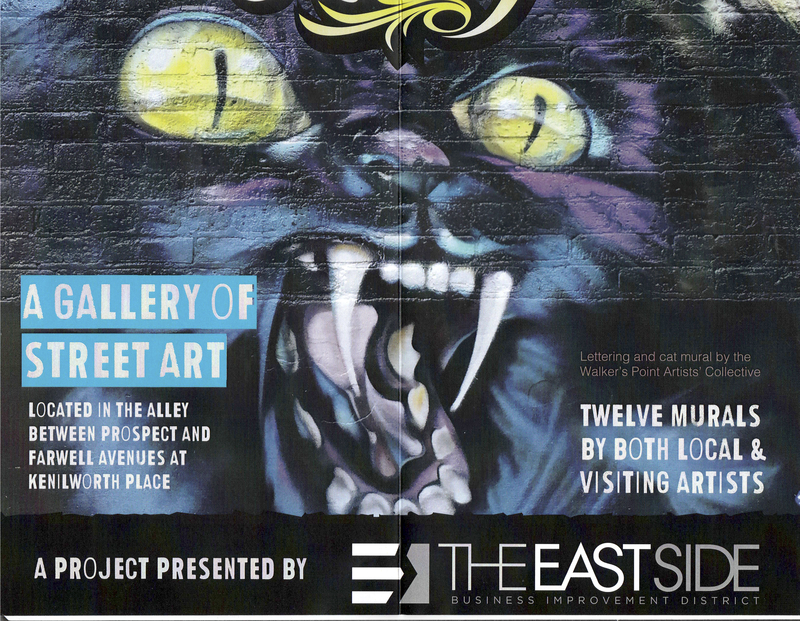 In addition, producing an annual report highlighting selected works and events aimed to expose, educate and engage others to a variety of contemporary art and street art throughout the East Coast and Midwest. 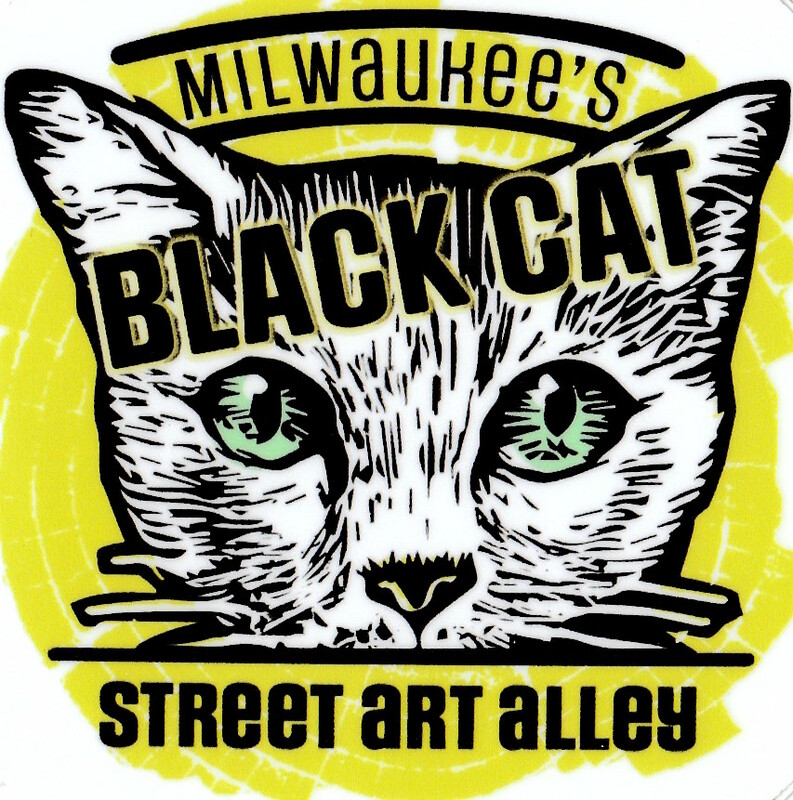 The Randall Frank Contemporary Art Collection is happy to announce its sponsorship for the upcoming Black Cat Mural Alley Project to take place on the east side of Milwaukee, Wisconsin this summer. Milwaukee is dear to their hearts because it is where Randall and Frank met at UW-Milwaukee taking a college bound math class during their senior year in high school in 1993. Since then their careers have taken them to Richmond, Virginia and Sheboygan, Wisconsin; respectively. The Randall Frank Contemporary Art Collection aims to support Midwest and East Coast artists as well as events that embrace creativity, diversity, and building [art] community. 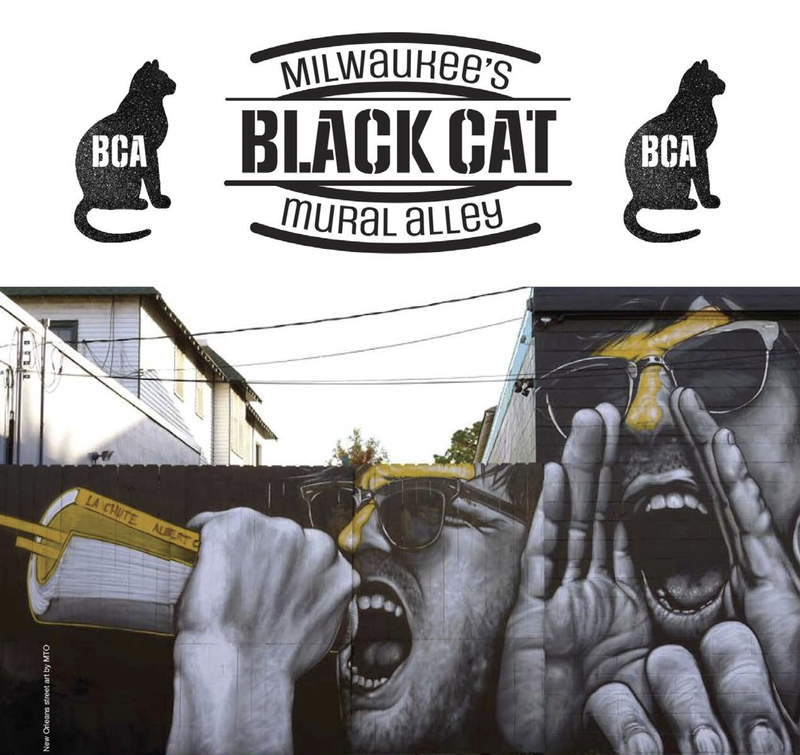 To learn about the Black Cat Mural Alley Project visit www.blackcatmke.com.